A roomy main compartment with rfid blocking card and passport slots. 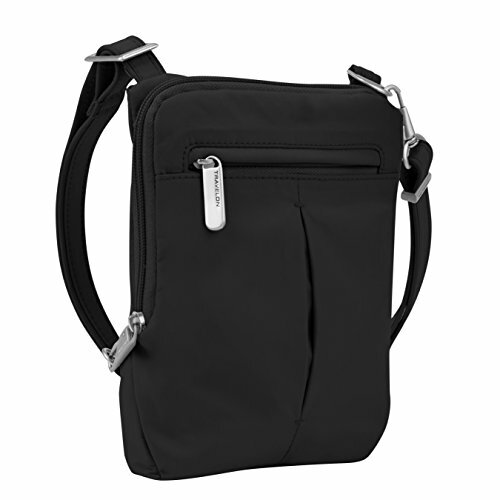 The front zippered pocket and rear drop pocket for smart phone. If you have any questions about this product by Travelon, contact us by completing and submitting the form below. If you are looking for a specif part number, please include it with your message.